The China of Generalissimo Chiang Kai-shek attracted a colourful array of personalities, some of whom were home grown, while others were hired expatriates. The list of those who shared the rice bowl of that ancient country as it writhed in the throes of invasion and civil war is endless. A few of the shapers and moulders were Dr. Sun Yat-sen, Marshal Chang Tso-lin, the Young Marshal Chang Hsueh-liang, Dai Lee, head of the Blue Shirts and the Himmler of China, Mao Tse-tung, and Chou En-Lai. Some of the expatriates were Two-Gun Cohen, the Amiable Prussian Walther Stennes, Claire Lee Chennault, Donald of China, and Max Springweiler. Marshal Chang Tso-lin learned his trade by leading a band of thieves but rose to become warlord of Manchuria. 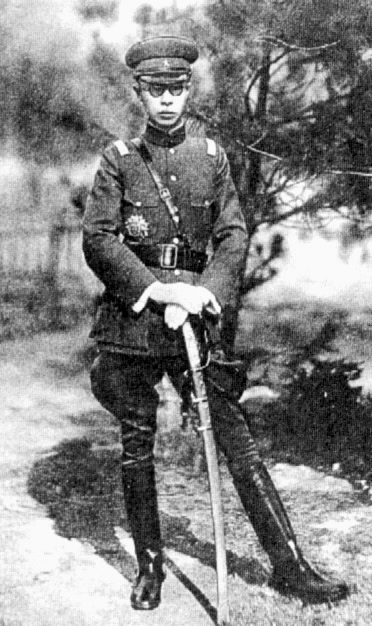 His son Chang Hsueh-liang was born on 29 May 1900 and was a general in charge of three divisions of his father’s army by the age of 20, earning the nickname of The Tiger’s Cub. Returning to his capital Mukden in 1928 from a campaign that brought a Nationalist victory over Communism, Chang Tso-lin was killed when the Japanese bombed his train. His son, who had remained in Peking to represent his father at the victory celebration, returned to Manchuria to succeed his father as Tupan (military governor). Three months later the Central Executive Committee of the Kuomintang elected the Young Marshal to the National Government State Council, despite many objections. 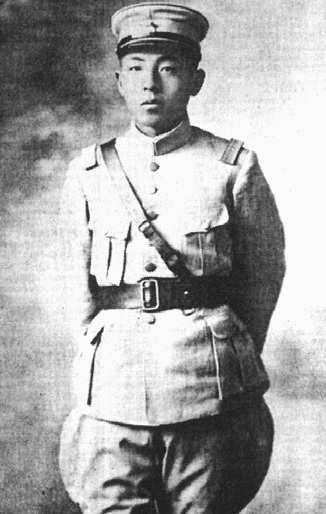 By 1933, Chang Hsueh-liang controlled the Chinese northern armies that barred the Japanese advance into Jehol. His troops hailed him as China’s man of destiny and China’s Napoleon. While at a dance in March 1933 he ordered his army not to resist the Japanese advance into his domain. 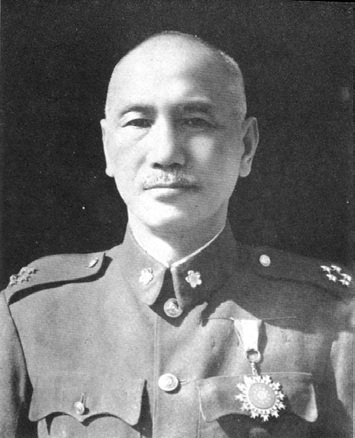 As his men fought a rearguard action he resigned as Commander-in-Chief and handed over his 16 divisions of 600,000 men to the central government of Chiang Kai-shek. Now called the Dancing Despot, Chang Hsueh-liang left for Italy aboard a luxury liner. In 1934 he returned to his homeland and accepted the appointment of Vice-Commander of the Nanking Government’s anti-Communist forces. In December 1936 he orchestrated the kidnapping of Generalissimo Chiang Kai-shek. This significant episode in Chinese history became known as the Xi’an Incident, and the kidnapping of the country’s premier leader convinced the Generalissimo to form an anti-Japanese alliance with his Communist opponents instead of trying to crush them. After negotiations, the Generalissimo agreed to review the situation and was then quietly released. A court-martial sentenced the Young Marshal to prison yet four days later he received an amnesty. This dramatic incident led to an easing of the war against Communism and a combined effort against the Japanese army. In 1949 when the Kuomintang lost the Civil War to the Communists and fled to Taiwan, Chiang Kai-shek took the Young Marshal with him. For 53 years he remained under house arrest, making him the world’s longest serving political prisoner. He did not gain full freedom until 1990, some time after the Generalissimo’s death. The Young Marshal and his wife retired in Hawaii where he died in 2001 aged 101 years. Meanwhile, not content with the size of its empire, Nippon decided that a little more was desirable. Her gaze returned to her archenemy China. Such a country, never at peace with itself, should prove easy meat for the highly disciplined martial race of Nippon! In 1931 Japanese forces overran Manchuria ostensibly to protect their vast investments. They deposed Manchuria’s ruler Chang Hsueh-liang and renamed their new possession Manchoukuo. On 18 February 1932 the last Manchu emperor of China, P’u-i, became its puppet leader. For de Kantzow each assignment was one of adventure. At an early stage of his CNAC service he followed the example of Captain Royal Leonard, another hero of mine, to become the personal pilot of Generalissimo Chiang. W.G. Burchett, in his book Wingate's Phantom Army tells of a flight he made with the Generaliisimo, Madame Chiang Kai-Shek and Brigadier Orde Wingate, whose Chindits were harassing the Japanese in the Burmese jungles. Sydney's answer was not recorded - a pity, because he was noted for an exceptionally descriptive and lurid turn of phrase. It must have been short; the inteliigence galvanised him into action and the subsequent display of cloud and close terrain flying would have gladdened the heart of the most ardent hedge-hopper or given him an inferiority complex. The only casualty was Madame's breakfast, of which she is reported io have said, 'It doesn't taste so good as golng down'' Otherwise the episode apparently did little to disturb the equanimity of the VIPs, but the Generafissimo conferred the prized Chinese Order of the Flying Cloud on de Kantzow some little time later.